Life is one big adventure, and with Yatra it’s easy to hit the road with a soundtrack at the ready. They’ve created a series of portable listening devices outfitted with cutting-edge technology and a bold design style. From mountains and deserts to poolsides and parks, it’s easy, convenient and fun to turn up the volume with Yatra’s Aquatune Series Speakers. The Aquatune Series utilizes advanced Bluetooth technology for wireless listening on-the-go. It syncs seamlessly with any device and features their signature AWS (All Weather Sound) technology for crystal-clear playback in the world’s harshest environments. This line of speakers acoustically outperformed Bose, JBL, and Altec Lansing at less than half the price. The Aquatune 5712 is their most compact speaker and is specially designed to pump out 10 hours of dynamic sound on land and at sea. 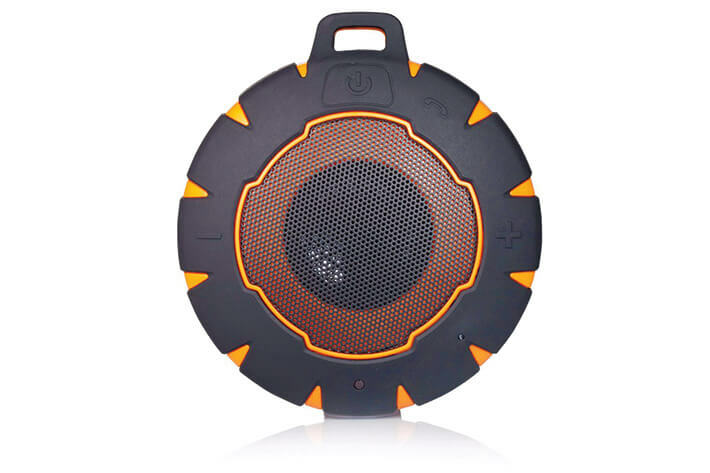 Waterproof, shockproof, and built to float, it’s easier than ever to take one’s favorite tunes out on the water. The 5712 received the Gold Medal at this year’s INPEX Award – Best Outdoor Product. Paste magazine named it the best speaker on the planet for the price. Yatra launched into the tech industry in 2014, bringing to life a brand that stands for innovation, performance and value. Yatra is an ancient word for journey, passage and voyage, and it is their hope these products inspire and enhance their users’ own Yatras. Their products can be found online at on their website, Amazon, ebay, as well as at Follett Bookstores, Touch of Modern, Sears, ACE Hardware, TJ Maxx, Marshalls, and more. For samples or additional information, visit www.shopyatra.com. Fishing Magazine, Coastal Angler & The Angler Magazine is your leading source for freshwater fishing and saltwater fishing videos, fishing photos, saltwater fishing.